Whether it’s in folk, blues, rock or classical, guitars have been some of the most popular instruments all over the world for well over 60 years, and every day more and more children are picking up this super cool instrument. However, unless you are lucky enough to be a guitar player yourself, choosing the best toddler guitar or kid size guitar can be a real challenge, as there are so many different brands, models and styles out there, each claiming to be the best. If you find yourself in this situation, don’t worry, because we’ve got a guitarist here at StarWalkKids to put together this handy review. It is easy to get very technical when talking about guitars, so we’ve tried to avoid as much jargon as we could and explain this in a way that will be easy to understand for any parent regardless of whether or not they have a musical background. we’ll go over the different types of guitar and show you some of the best ones for different ages. 1.0.1 When is the right age for a child to start playing guitar? 1.0.2 Does my kid need a guitar lesson? 1.0.3 Does playing guitar hurt? 1.0.4 Should I buy my kid an electric or an acoustic guitar? 18.8.1 What size guitar for 8 year old? 18.8.2 What is the best guitar for 5 year old you might be asking? When is the right age for a child to start playing guitar? Now, this is a tricky one, and lots of parents and guitar teachers have different opinions about this. Typically, though, it is going to be very hard for children under 4 or 5 to learn the guitar, as they won’t have enough strength in their hands and fingers to hold down the strings. There may be exceptions. obviously, as a big 4 years old might be ready to play whilst a small 7 years old might not. There are, however, some great guitars made for toddlers which are easier for them to use, but these are really just toys for them to play around with. But we wouldn’t suggest getting a proper kids guitar until they are ready for it, and that is going to be at a different age for each child. The great thing about the guitar is that kids never get too old to learn. Some brilliant guitar players star as late as 16 or 17. Does my kid need a guitar lesson? Another very tricky question, but we would basically say yes but ONLY if it is a good teacher. Getting kids guitar lessons will give them an understanding of music theory and lots of great skills like being able to read music. It will also help them progress very rapidly and is essential if you want them to play classical guitar or perform with orchestras. A teacher will also teach proper posture while playing, so as to avoid backache later in life. But lessons are only worthwhile if you find them a great teacher. It needs to be someone your kids really get on with, and someone who can make the lessons fun and accessible. My own son loved picking up my guitar and thrashing it about a bit, and as I never had lessons myself, I didn’t know how to properly teach him. He was thrilled when we got him guitar lessons for his birthday. Sadly, his first teacher made playing the guitar seem like a boring chore, and he wanted to give it up. It wasn’t until years later when we found a good teacher that he started playing again. I would therefore suggest sitting in with your child through the lessons, and don’t be afraid to let a teacher go if your child doesn’t enjoy the lessons. It is true that there are some brilliant self-taught guitarists out there, including legends like Jimi Hendrix and Eric Clapton, and there are lots of great guitar lesson books and DVDs out there. However, it is a very hard way to learn and requires a lot of dedication to the instrument. If your child just wants to play along to pop songs in their room, maybe they don’t need lessons, but if they are serious about playing, lessons with a good teacher will be worth it. The short answer is yes, but not forever. Playing the guitar well requires you to press down firmly on the strings, and you need to build up finger strength to do it. It also hurts the tips of your fingers when you start playing. But the good news is that once they get used to it, it won’t hurt anymore. However, if they stop playing, your child’s hands will get soft again, so you need to encourage them to play regularly. I have heard horror stories about bleeding and blistered hands from learner guitarists, and this never happened to me in my almost 20 years of playing. So don’t push your kids too much. Should I buy my kid an electric or an acoustic guitar? This can be quite a difficult choice when buying a kid size guitar, especially if your child doesn’t have a very refined taste in music yet. They both have advantages and disadvantages. Electric guitars need amplifiers and cables, and they can be quite loud. However, the electric gives your child a much wider range of sounds, and they can be played without any effects and can sound a lot like an acoustic, but an acoustic will never get that distorted rock n roll sound of great bands like the Foo Fighters or Muse. Personally, I think acoustic guitars are harder to play than electrics, and for this reason I usually recommend getting kids to learn on an acoustic or classical. This is because the kids will develop very strong fundamental guitar skills with an acoustic, and they will be better players regardless of whether or not they want an electric later in life. There’s nothing wrong with learning on an electric, but in my experience, kids who learn on electrics lend to be sloppy players. If you’ve got a big toddler who is ready to take on the guitar, a classical style instrument with nylon strings will be one of the best toddler guitars you can get. This Cordoba model is really gorgeous to look at, and has wonderful craftsmanship and finishing on its build. However, this is also a serious instrument, and it has a rich, warm tone to it that your toddler will fall in love with. This mini guitar doesn’t skimp on quality, as I uses the same wood and materials as many adult guitars. It also includes a bunch of useful accessories and a bag. If you want to buy a Spanish guitar for kids, we recommend the Cordoba C1. 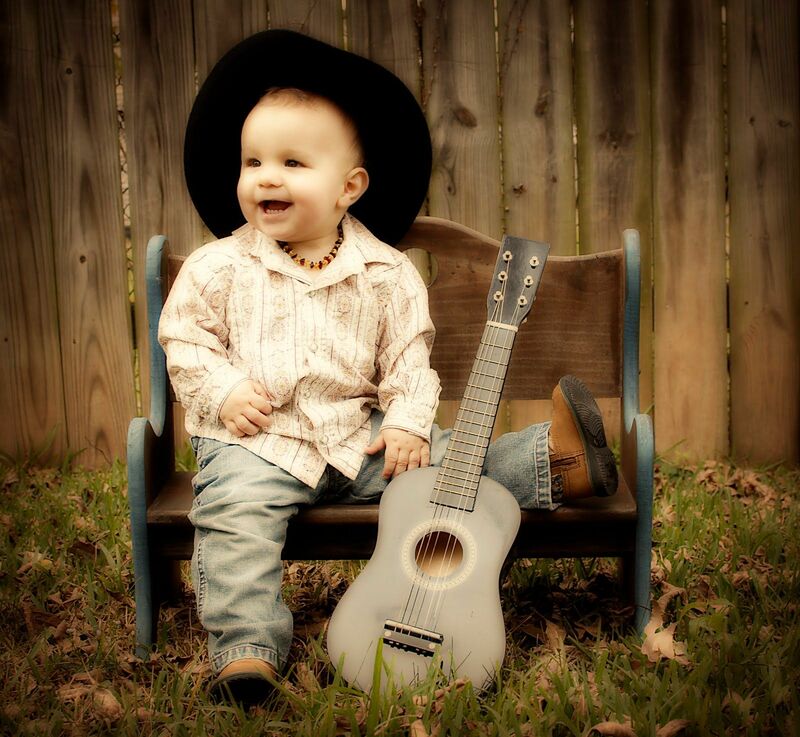 This toddler acoustic guitar is made by one of the companies under Gibson. The Maestro is a great small guitar for kids. It has been designed especially with younger players in mind, to make this mini guitar comfortable, lightweight and easy to play. For example, the frets are thin and the strings are a little loose, making it ideal for little hands. It also has color coded buttons to show each of the strings, which will be a big help to the little learner, and there are sting name stickers as well.. However, even though its made with toddlers in mind, it still sounds good! We really love that this one comes with a set of ‘how-to-play chords’ cards, so your child can start learning the basic chords with these cool flash cards. You can even turn it into a fun game. With so many toddlers and beginner friendly features, this lightweight model is a brilliant guitar for 3 year old. Want your child’s first guitar to come in their favorite colors? Looking for a blue guitar? A green guitar? A White guitar? Well, luckily for you this Nylon string 1/4 guitar is available in a host of different colors, even some with a cute monkey painted on top. With a basswood top and sides and a maple fretboard, this guitar sounds great and will feel great for a toddler to play. It also has a lovely high gloss finish, so it will be easy to polish as well as looking spectacular. Its thin neck is definitely too narrow for adult fingers, but if you are looking for a great child size acoustic guitar, look no further. Thinking of getting a little kids guitar for a girl? Well, your little princess will love this stylish and great sounding pink guitar. 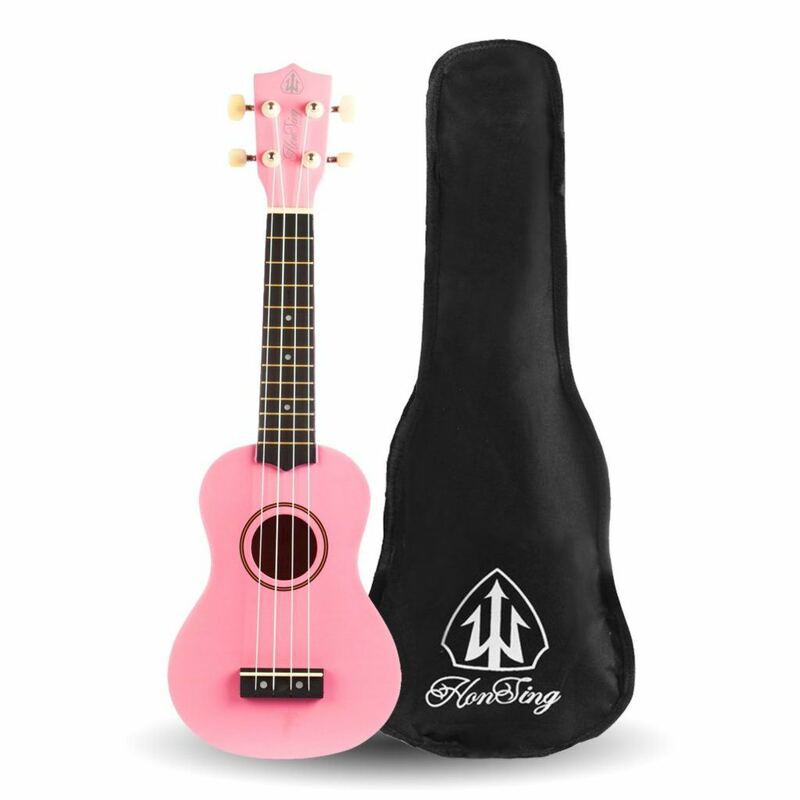 This 1/4 size guitar has a fully wooden body, unlike others which have plastic in there, so the sound really resonates well, giving your little guitarist a great tone at an affordable price, and that smooth pink finish will never go out of style. This kids pink guitar also comes with a whole bunch of helpful accessories, including a gig bag, strap, strings tuner and two guitar picks. This will make a great guitar for 4 year old girls, or little boys with an edgy sense of style, and they’ll definitely be the coolest kid in the music class with this one! This kids classic guitar is designed with kids in mind, this great mini guitar is made of linden plywood and basswood for some great tones and sounds, and its small size makes it great for beginners with small hands. Coming with a whole starter kit with electronic tuner, extra strings, a carry bag and more, this will make a brilliant first guitar for 5 year old, and it is for sure a great instrument for them to start their musical journey on. If your kid is a bit older or a bit bigger, it might be good to think about getting a 1/2 or 3/4 size guitar. Some of the first reviewed are guitars for children aged 6 to 7 years old and as it progressing down the review the ages increase. Looking for a great starter guitar for a 6 year old? This nylon string classical model might be just what they need to kick start their new favorite hobby. This is fully handcrafted with Agathis wood panels, so the strings ring out clear and warmly, giving the sound a fresh and crisp tone and texture. This guitar has been especially designed with 5 to 9 year olds in mind, and it will be very comfortable for this age group to play. It also comes with light gauge nylon strings, which will be soft enough for learners hands. Therefore, we can fully recommend this as a children’s learning guitar. Yahama makes some of the best small guitars for kids, and if you are looking for a half size classical guitar for your little player, this might be just what you want. Not only is this mini guitar very well made and put together, it has a combination of different woods used in its construction, so this good kids guitar will sound very beautiful when played well, and will encourage your child to keep on practicing. 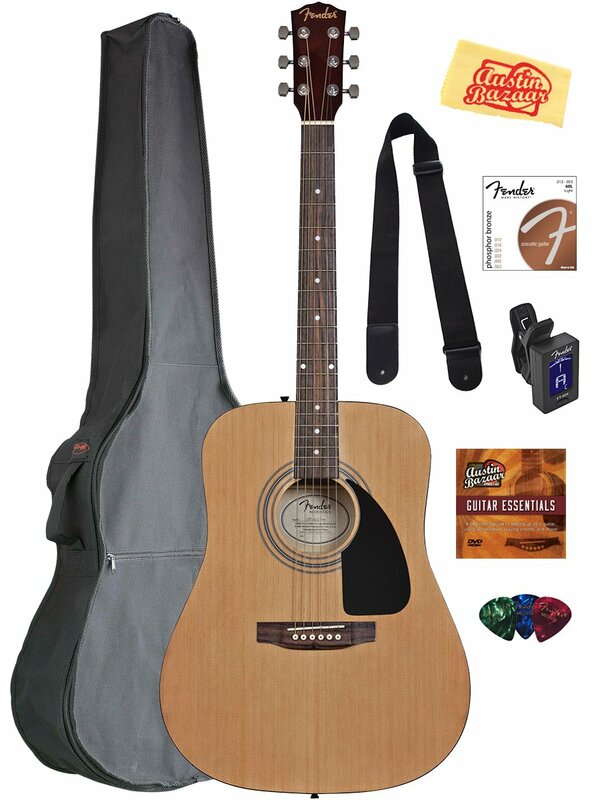 Taking all of this into account, this will be a great gift if you want to buy a guitar for 9 year old beginner. Coming in a super cool black gloss finish, this steel string wonder looks like the kinds thing country superstar Johnny Cash would have bought for his kids! 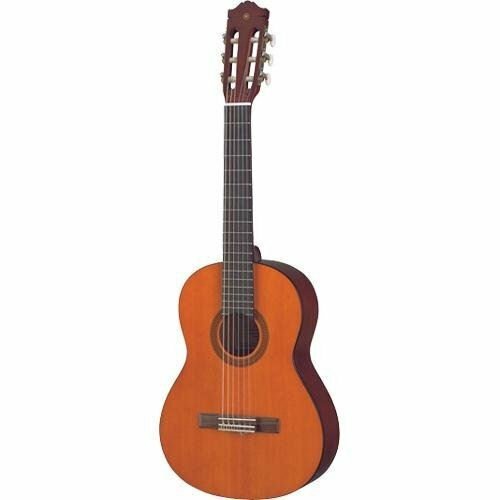 It is made of a great combination of rosewood, mahogany and spruce, which give it a very rich tone, and your child will just love hitting the strings on this. If your child is already growing into that kind of brooding rockstar who never goes out of fashion, this stylish guitar will be perfect for them. With such a good and sturdy build and the combination of great sounding tonewoods, this really is a great choice if you want to buy a guitar for 10 year old beginner. Finding good quality guitars for left handed players is always a little difficult, as the majority are made for right handers. Luckily, we found this great left hand classical guitar which is great for a left hand 11 year old. It is made of spruce and mahogany, so it is going to sounds pretty good, as long as it is taken care off. 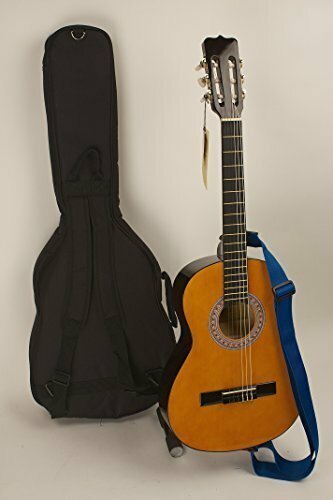 This is a wonderful and affordable guitar that has been specially designed for older children, and it also makes a nice guitar for adults with smaller hands. We also really appreciate that this manufacturer says that it does a fully professional set up on each guitar, so it comes with the strings at the correct height and the neck at the correct angle. All in all, this is great value for money, and a a really good guitar for 8 year old or a 10 year old. d they are built and finished to perfection. 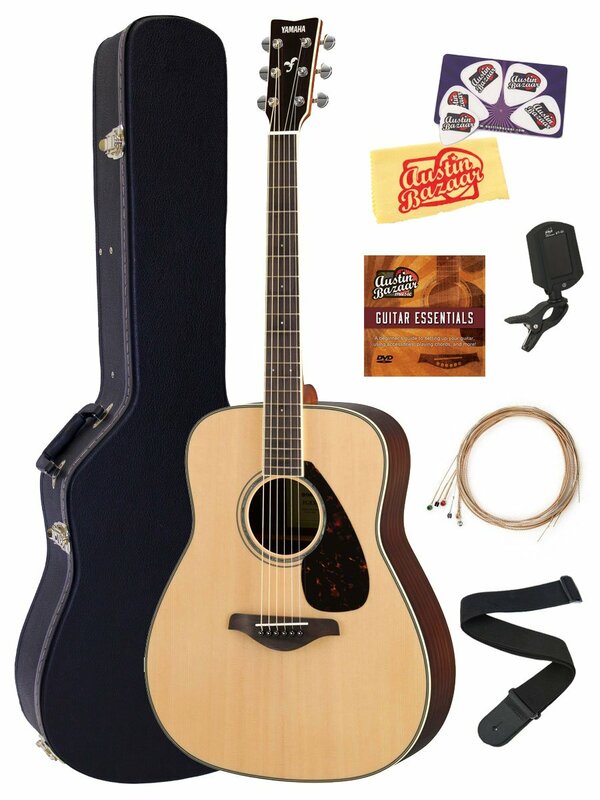 This particular guitar includes a generous legacy bundle of accessories , so you won’t have to pick up anything else before your kid and start strumming away and filling the family home with beautiful music. 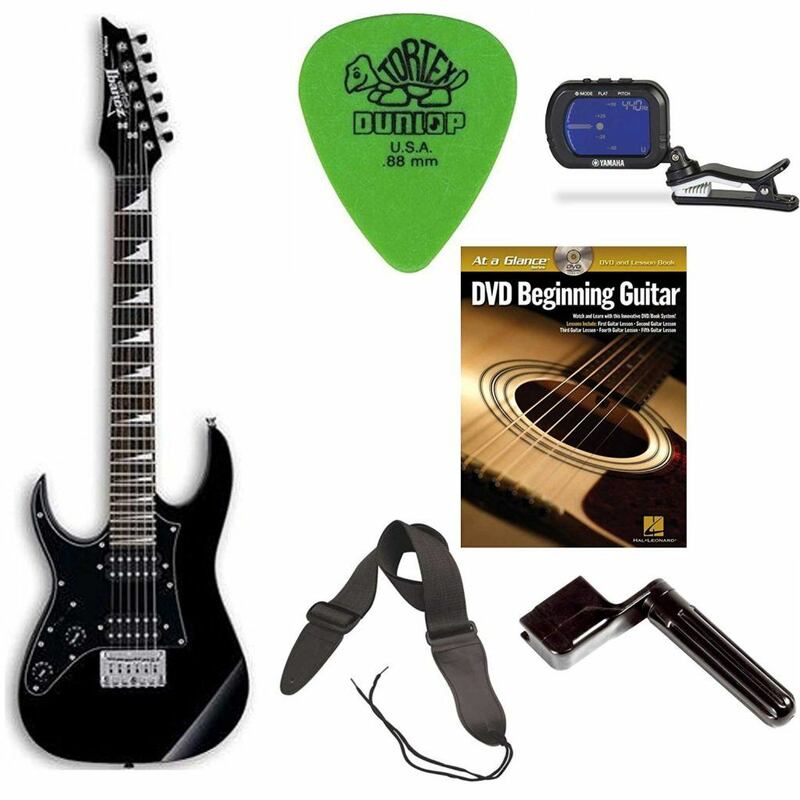 Best of all, this comes with an amazing Yamaha instructional guitar DVD for free, so whether or not your kid also gets lessons, they will be able to improve their playing. Made of Canadian Ceder and Mahogany, this Cordoba 3/4 Spanish guitar is one of the best sounding three quarter size guitars we’ve ever seen. However, despite having such a great sound, it is still a fairly lightweight instrument, and will be very comfortable in the hands on an older child. This is definitely one of the pricier guitars on our list, and ill suite a serious guitar player who wants a great sound at an affordable price. This is a great choice for a kids starter guitar or for a child who has outgrown their 1/2 or 1/4 size one. It’s time to rock ‘n’ roll with this stylish black electric guitar for kids set! Your little guitar player will just love the look of this great kids electric guitar, and with its included practice amp, they’ll be able to crank up the volume and plays some sweet riffs. Better still, the amp has a headphone jack, so get them a good set of headphones and they can play while you still enjoy some quite time. This cool set also has a bunch of cool and useful accessories, such as an electric tuner, a guitar strap and asample Online Lesson , so they have everything they’ll need to take it to the garage and start making some noise. The only bad thing we can say about this is that it doesn’t come with a power adapter or batteries for the amp, so you’ll have to buy them separately. 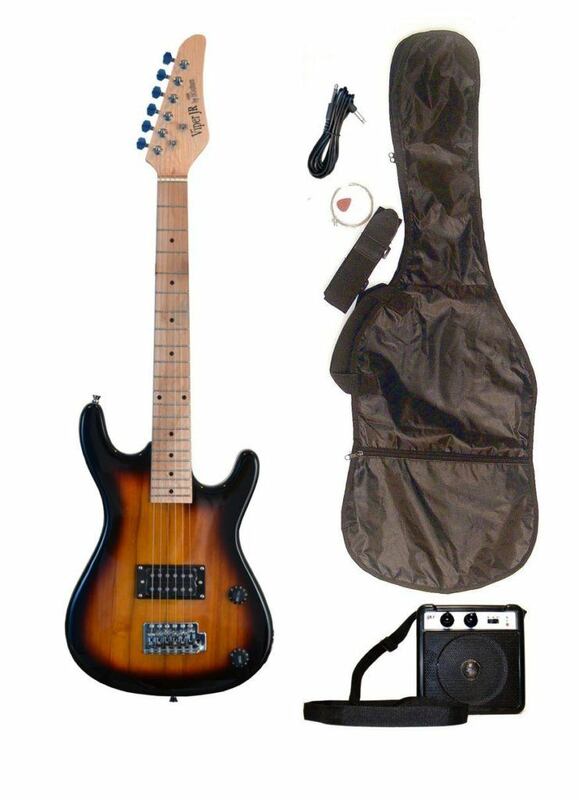 This really is a brilliant kids beginner electric guitar, and with the amp and everything else included, this really is a great first step to rock and roll stardom. These youth size guitars are for the teenage years, they will be big enough to play and adult guitar. Whether they’ve had lessons earlier or if they’re picking up the 6 string for the first time, these are some of the best guitars you can buy them. A brilliant starter kit for a little rock and roller! 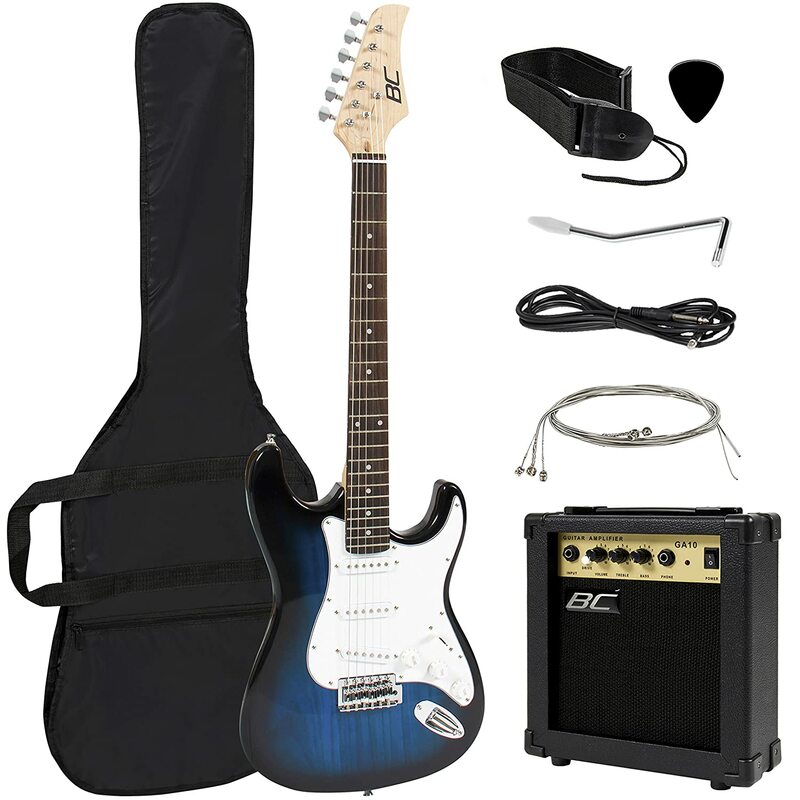 Not only does this wonderful package give your teen a brilliant Fender Square electric guitar, but it comes with everything they will need to start rocking out, including a little practice amp!! Fenders sound really good, and they are very versatile, meaning that your little guitarist can get lots of different sounds out of it from soft clean music to crazy distortion. The guitar itself is a short scale fender, which is great for smaller hands. Whether your child is serious about guitar lessons or they just want to thrash out in the garage, this youth guitar and accessories is brilliant for whatever they want to play. 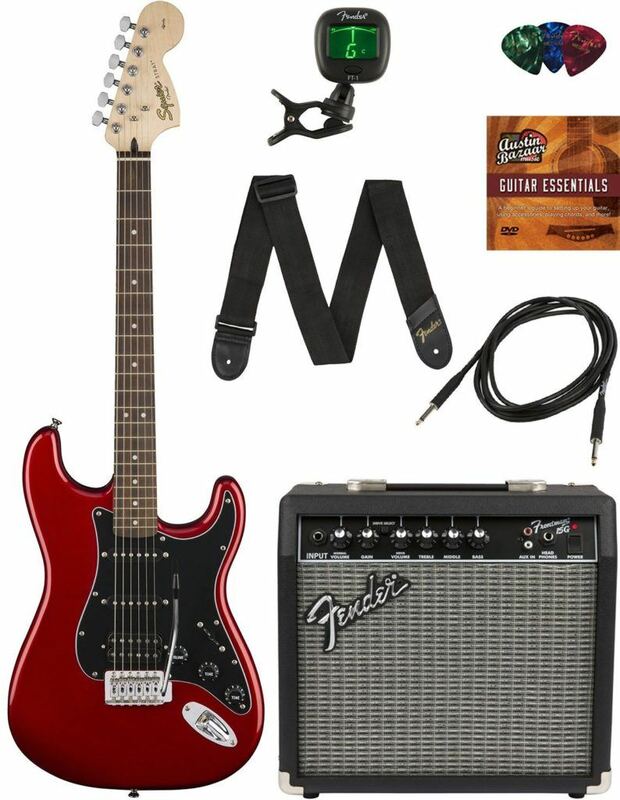 Whether your kid is into the blues, jazz, rock and roll or heavy metal, the most iconic guitar you can buy them is a Junior Kids Guitar, and this great Starter kit will be their first step to becoming the next big rock star. This genuine Sunburst guitar has 1 pick, which means your child can great a number of great sounds out of this kids electric guitar, from sweet acoustic blues to roaring rock n roll, and the build quality means this thing will last them a lifetime as long as they take care of it. The kit comes complete with a tuner, a tiny amp and more, so right out of the box they have everything they need to start or continue down their musical journey. We also love that this guitar comes in a number of different colors, so your kid can choose the one they really like. It is not hard to see why this is the favored best seller in solid body electric guitars. Fender is a name that keeps popping up on this list, and it should be obvious why; they make brilliant guitars. 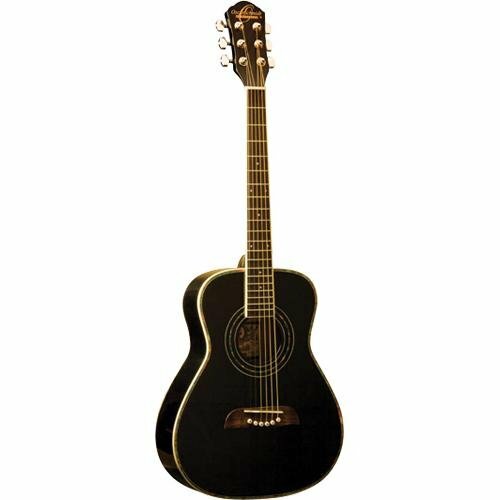 This steel string acoustic has some great specs, like a rosewood fretboard, a spruce top and a bone saddle, and its brilliant construction means that it will sound really great, and your child will want to keep playing and playing in order to hear those lovely warm tones. 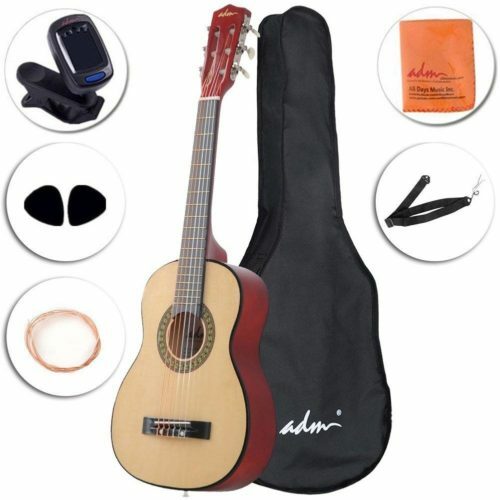 This is also a full package with handy accessories like a guitar soft bag and a strap so you won’t have to run out to the guitar store to pick up any extra bits – as soon as this arrives, your child will be ready to play. It also comes with a wonderful Austin Bazaar instructional DVD which has some great guitar lessons to get your little six string player started. This really is a great guitar for kids, teens and even adults. There’s definitely no shame in getting a budget guitar for a child. We all know that kids can be a fickle sometimes, picking something up for a few months and then never playing it again. Many parents will get cheap kids first guitars as they don’t want to splash out on something until they are sure the kid is serious about it. This cool boys guitar, if you are looking for a youth electric guitar, then this BC kids starter guitar set will give them a nice instrument to play with that won’t break the bank. It comes with all the gear they need, such as a gig bag, strap, cables and spare strings, and even a little practice amplifier. For rock n roll on a budget, this is a seriously good deal. 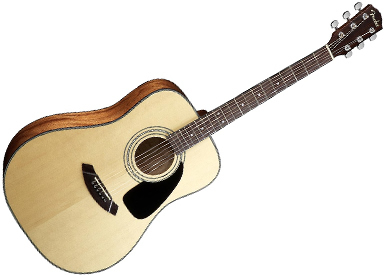 The DR-100 is one of Epiphones best selling acoustic guitar. Although the company are more well known for their roaring electrics, they do also make some brilliant steel string guitars as well. With its rich spruce tonewood, this guitar will sound amazing for bluegrass, folk, rock, country, and everything in-between. It also has a lovely rosewood fretboard, meaning it will be a joy for your child’s fingers to play on it. This is a brilliant guitar for beginners and one that, because of its rich and warm sound, your child will be playing for years and years to come. It is also available in ebony, natural and sunburst colors so your child can choose the colors they really like. Just take a look at this gorgeous guitar! This steel string beauty comes at a very affordable so if you don’t want to overdo it on your kids first acoustic guitar, this is definitely something to look into. Jasmine guitars don’t have the brand recognition of some of the others on this list, but they really make some wonderful sounding instruments, and this is one of amazon’s best sellers. This guitar has a spruce top, rosewood fretboard and a lovely laminated satin finish, so it both looks and sounds great. It is also a very well balanced instrument, so it will feel very comfortable in the hands of a new player. Therefore, this is an acoustic guitar for beginners. We all should know by now that Yamaha makes some of the best sounding guitars out there, and this beautiful steel string acoustic is no exception to that rule. Made of spruce, rosewood and mahogany with a unique scalloped bracing, this steel string guitar has a gorgeous rich tone that will not disappoint a young guitar player. It also comes available in a few different colors. 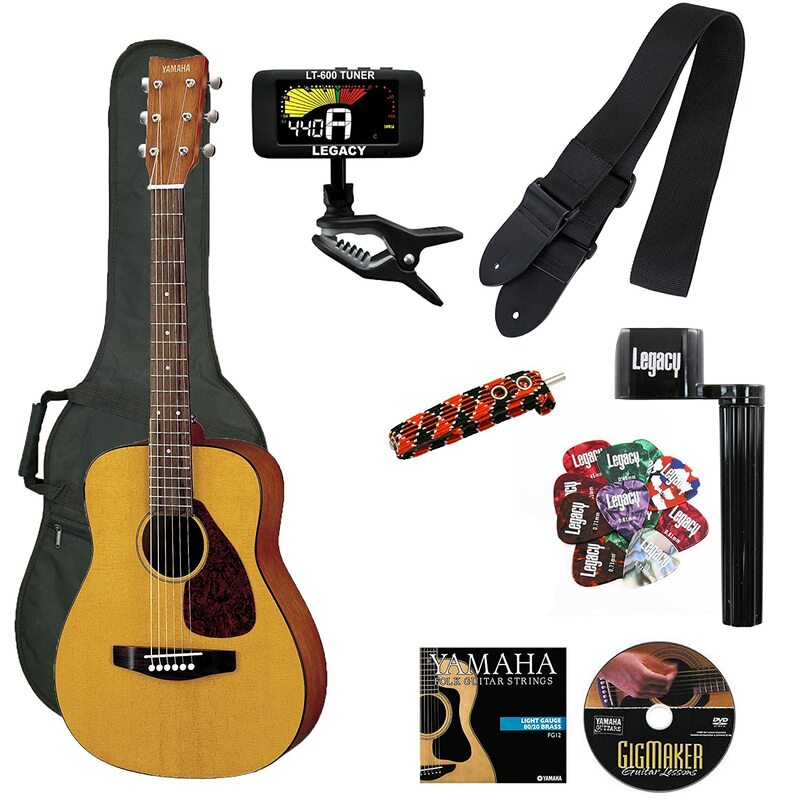 This pack also includes a tuner, set of strings, hard shell case and picks, so you won’t need to shop around for any other peripheries or accessories. You kid will be ready to go as soon as it arrives! This is a little pricier than some of the other guitars on this list, but if you are looking for a serious instrument for a serious player, this Yamaha will make a great guitar for a 13 year old. 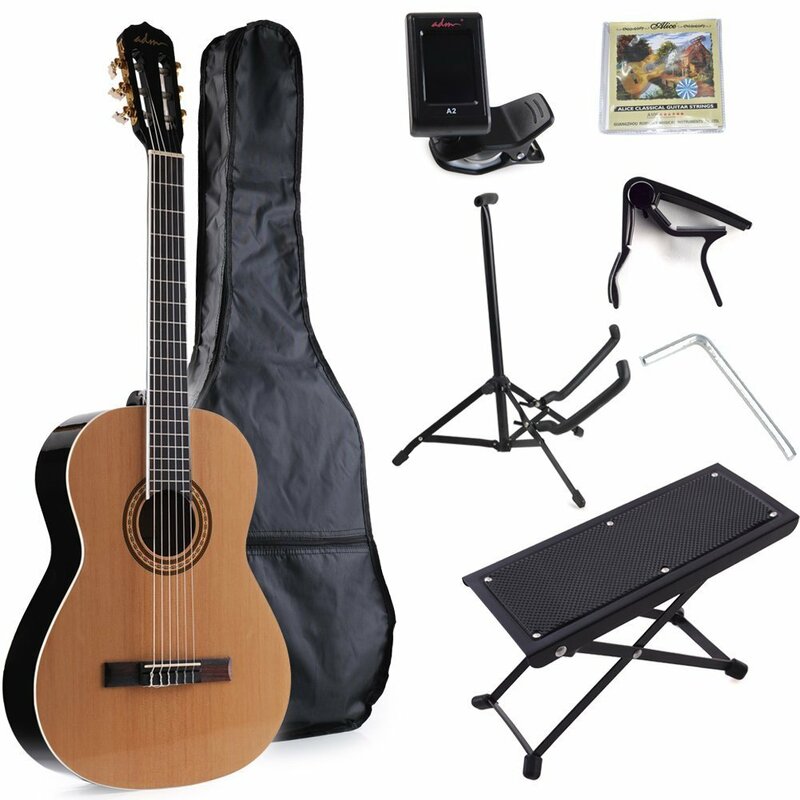 Its also got a whole load of handy stuff included, such as a foot stool and a music stand, so right out of the box your little classical player can get started serenading the family with the great kids classical guitar. Looking for a serious classical guitar for a serious musician? This Cordoba might be just what you are looking for. One of the most popular models in their Iberia series, this nylon string guitar has classic Spanish style bracing, a solid cedar wood top, and it is fully hand crafted. What that means is that this thing looks beautiful, sounds beautiful and if treated well, will last your child a lifetime. This great guitar is full sized, yet lightweight, meaning that it will be a great starter guitar for a 14 year old who is just picking up the instrument or who has learned on a smaller guitar and is now ready for the real thing. And whether they want to play classic music, flamenco or anything else, with this Cordoba they’ll have no excuses for not sounding amazing! The sad truth about the guitar market is that there is a lot of junk out there, and some of the cheaper kids guitars by unknown companies sounds pretty terrible. The last thing you want is for your kids enthusiasm and excitement on getting a guitar to die out because it sounds horrible when played, so we are sharing with you our picks for the best guitar brands out there. Buying from a good brand will ensure that your instrument is well made and sounds brilliant. Fender Squire: Squire is the beginner range for the legendary Fender Guitar company. They make affordable versions of the famous fender guitars, and while the obviously have to cut a few corners to keep the prices down, a Squire guitar sounds amazing and is very good value for money. Squire makes just about everything, from acoustics and classics to electrics and basses. Getting a kids fender guitar will definitely not disappoint anyone. Yamaha: Is there anything that Yamaha doesn’t make? From motorbikes to musical instruments, you know you are getting something very high quality and good value for money with a Yamaha, and their guitars are no exception. Yamaha acoustics and classics are very popular, as they are very reasonably priced and have amazing sound and tone. They also make some cool electrics, too. Gibson Epiphone: Epiphone is the beginner range from the mighty Gibson guitar company, the one that makes the Les Paul. Epiphones are brilliant for kids and beginners because you won’t have to break the bank in order to buy one, but they sound very good and are built very sturdy and durable. They mainly make electrics but have some great acoustics too. Jasmine guitars: Jasmine is a very underrated brand of guitars. Not many people think of this name, but they make some really great acoustics and, more importantly, some great mini guitars for kids. Classical Guitar Also known as concert guitar, classical acoustic or Spanish guitar, these are usually made of wood, sometimes, plastic, and they have nylon strings. As the name suggested, these are mainly used in classical music, as their nylon strings have a distinct tone that works in this style. They also sound great when playing flamenco music. A kid’s classical guitar will make a brilliant starter guitar, as the nylon strings are soft and won’t hurt their small hands as much as steel. Acoustic Guitar Technically known as steel stringed acoustic guitar, these are wooden guitars with steel strings, which are used in western folk music, blues, country and rock. These have been very popular since the 1960s, and many brilliant guitar players start out on them. They are a little harder for kids than classical guitars, as the steel strings require more strength to hold down. Electric Guitar While acoustic guitars resonate sound with the guitar’s body, electric guitars have magnetic sensors called ‘pickups’ which capture the sound from the strings and convert it into an electrical signal. The guitar, therefore, needs to be connected to an amplifier to be properly heard. An electric guitar can also be played through a number of effects, such as distortion, phase or reverb. Bass Guitar Bass guitars usually only have 4 very heavy and thick strings, and they are tuned to an octave lower than the guitars to play the bass tones. They are a little bigger than a guitar, and technique to properly play one is a little different. You can buy acoustic and electric bass guitars. Younger kids might struggle with the bass, as it is heavier, bigger, and the strings are harder to hold down. Still,you can find some great kids bass guitars out there. Also, don’t forget that a ukulele is a great little instrument for younger kids too. Unless you want your child to have to put his guitar in the case every time they finish playing, you really need to get them a good guitar stand. 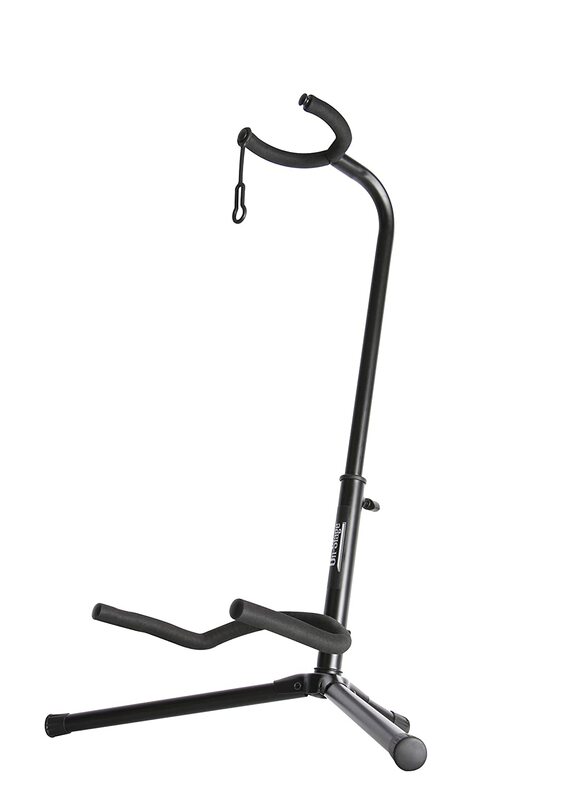 This particular stand, a bestseller, is great because it is both thin and strong, and it will fit acoustic, classical, electric and bass guitars. You can also easily break it down in case you need to transport it anywhere. Staying in tune is essential to sounding good at guitar, and even the best will not stay in tune forever. Tuning by ear is possible for some geniuses out there, but the majority of us need an electric tuner to keep right by. 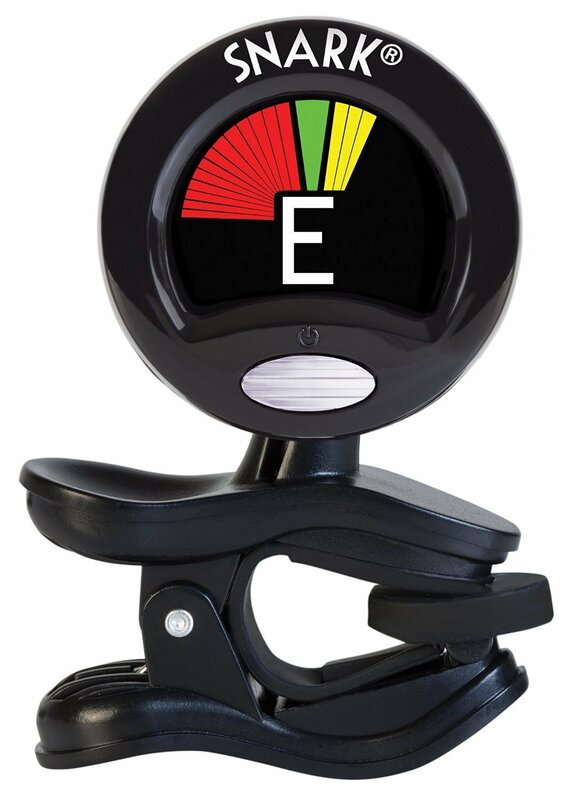 This cool electric tuner clips onto the head stock of your little kids guitar, and the accurate lights will help them to easily tune the instrument. We recommend electric tuners over traditional tuning forks as they are just so much more convenient. There’s literally nothing worse than an out of tune instrument for driving the whole family crazy, so get one of these little babies so your baby won’t drive the whole neighborhood nuts. Keeping that new kids guitar clean has more benefits then you might think. Obviously, its no fun paying a grubby instrument. More importantly, dirt and grime building up over a long period of time can wear down the instrument, make it harder to play, and make it sound worse. So investing in a good guitar cleaning kit is a wonderful idea. This neat little kit comes with a microfiber cloth and 5 special cleaners, each made for a certain part of the guitar. Best of all, it has instructions to show you exactly how to use each one. Remember that rock ‘n’ roll doesn’t have to be grimy – it actually sounds better when its clean. 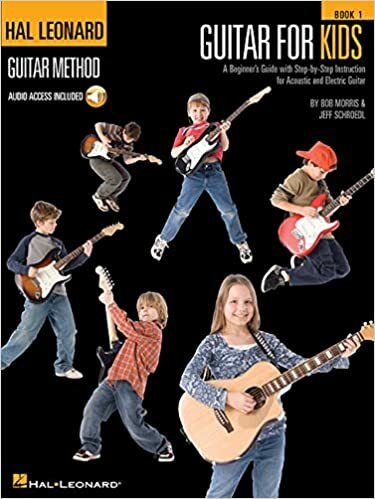 For only a few bucks, you can get this wonderful guitar lesson book for kids. This book contains several fun and easy lessons to help kids pick up the guitar faster than ever before! With lessons based on classic guitar songs from the Beatles and the Beach Boys, your child will also have access to the online library for more songs, and they’ll be serenading you with the new stuff they’ve learned in no time. If DVD lessons are more your thing, then DVD, based on an award-winning guitar teaching method, is exactly what you want for kids of 5 years and above. Using simple and easy to understand language, the three crazy cartoon guitar teachers will take your kid through the fundamentals in an enjoyable way. 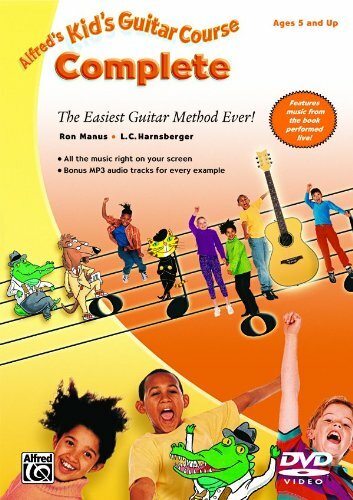 This will make a great companion to a beginner guitar for a child. What size guitar for 8 year old? There is not a right time for a kid to begin learning to play the guitar, but I have seen some young children around 8 years old and within a few years the have gone on to become excellent guitar players, even create bands which is fantastic for their development and social skills. Some might be asking what is the right size guitar for 9 year old? There really isn’t a difference from a 7 to 10 years old child, but further in this review we will separate for easy clarification. What is the best guitar for 5 year old you might be asking? 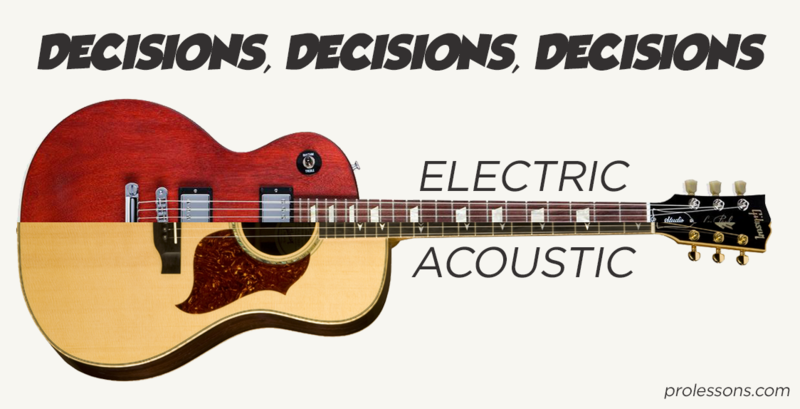 Well, children’s acoustic guitar or electric is a common starting issue when choosing for a younger player, so it’s probably best you let them decide, but if I had the choice I would always start a kid out on an electric. The electric guitar for 5 year old boys are often fun and a good choice if they already love bands like Metallica, although we can appreciate this is rare.